An exact 5k race along the Quayside, crossing two iconic bridge’s over the Tyne – the Swing Bridge and Millennium Bridge. The race is handicapped – meaning slower runners set off before the faster runners – with the finishing times from race 1 being used as competitors handicaps. New runners to the club are welcome to take part, and don’t worry if you didn’t compete in race 1 as your current form in training and recent races will be taken into consideration when handicaps are set. Competitors must register at East End Pool between 6:00 – 6:30pm on the evening of the race. Runners taking part in the competition for the 1st time will be issued a free race number which must be kept for the duration of the Winter Series. Runners who took part in Race 1 must re-use their issued number or purchase a replacement number at the cost of £1. Volunteers are requested to meet at the race start area (next to the Royal Marines Reserve Base) at 6:15pm for a pre-race briefing and to collect their hi-viz bib. The race will get under way at approximately 7:00pm and a map of the route can be found here. All members are advised to read the event Guidelines. TBH Juniors. 6:00 – 7:00pm at Walker Activity Dome (NE6 3BR). Children under the age of 16 years are welcome to try out the session but they must be accompanied by an adult. Click here to view the TBH Juniors website. Beginners Session. 6:30pm at East End Pool. This session is for anyone who is completely new to running and who would like to experience the benefits and enjoyment of this leisure activity. 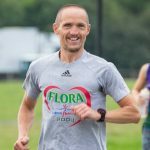 It will not involve speed work and will purely be about getting into the sport and experiencing the benefits of doing so with the support of a running club. Runners may then choose to progress into the Tuesday/Thursday sessions for more structured training if they wish to do so. All sessions to include warm-up and cool-down runs. New runners are always welcome along on a club night to try out the training sessions. There’ll be no pressure to join, no expectation to run beyond your means and you won’t be left behind to run on your own. If you are interested in trying a training session with Tyne Bridge Harriers, please complete this form & one of our coaches will get back to you.